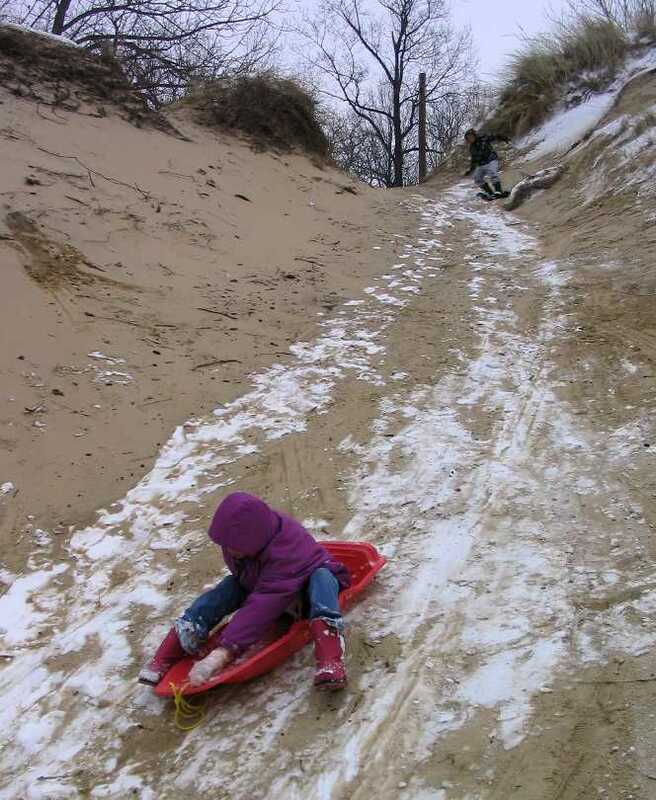 Most people don't think about the beach much in the winter. In the winter, the wind get's stronger. The grass and trees barely hang on. 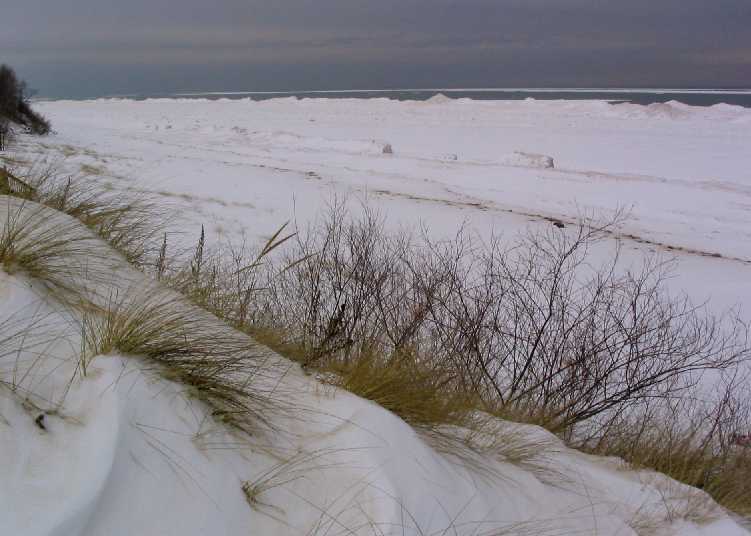 The snow blowing off the lake builds a new set of snow dunes over the sand dunes. Ice builds up at the shore line. It's like the arctic. The surface freezes, breaks up in the waves and refreezes. Ice along the shore builds up to close to 10 feet above the low water line. 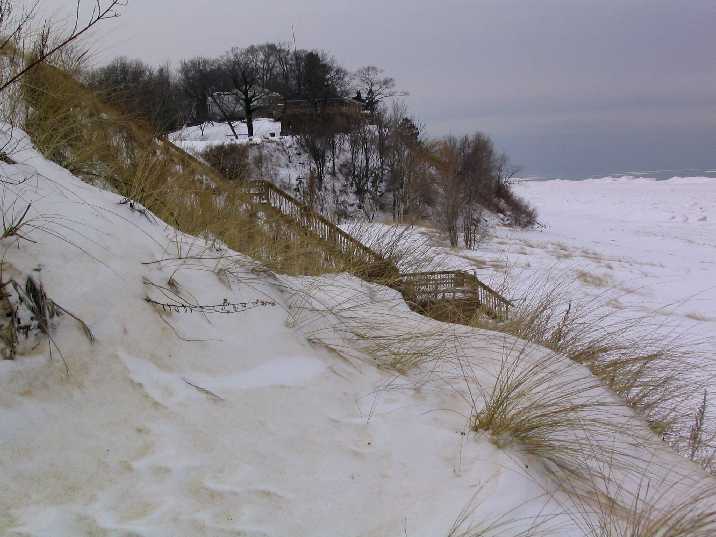 Many of the lakefront houses sit empty in the winter. It's a tossup whether the beach will have a footprint or not. If you want to be alone, you've got a sure thing. 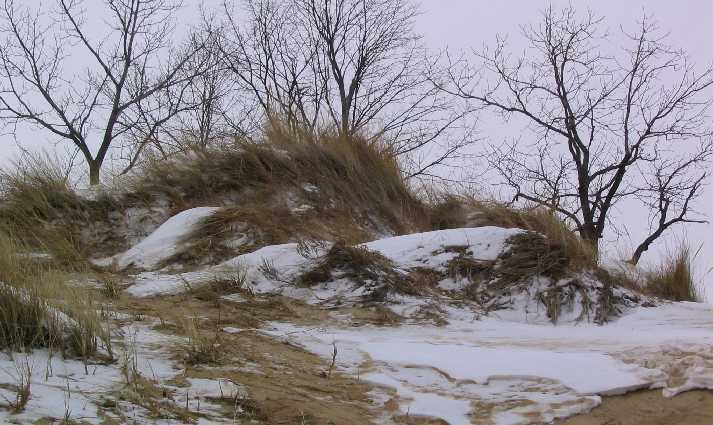 Between the steep slope of the dunes and the wind, snow has a hard time sticking. No problem though. When the sand freezes, it's almost like ice.